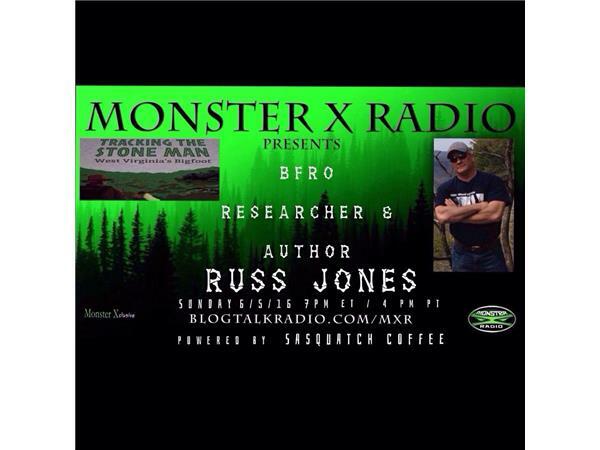 Join Monster X Radio hosts Gunnar Monson and Shane Corson as they sit down with BFRO Researcher and author Russ Jones. Originally from Lancaster, Ohio Russ grew up hunting in southeastern Ohio. He attended medical school in Iowa and 2016 marks his 25th year as a practicing chiropractor in West Virginia. Several years ago, Russ became a certified master naturalist. Currently, he spends two days a week deep in the wilderness as well as speaking with witnesses regularly.